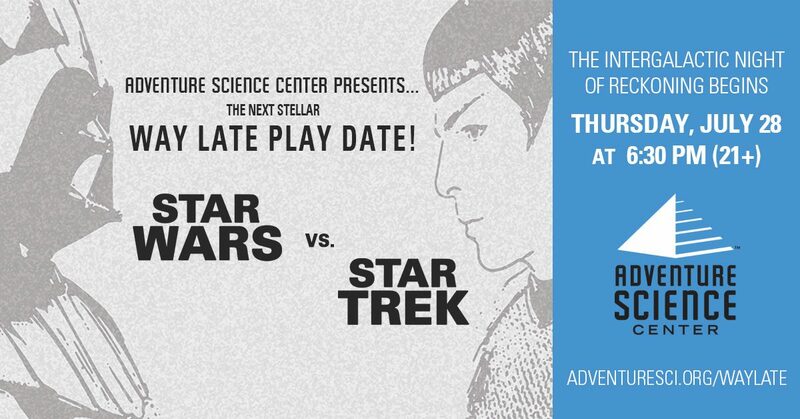 Prepare for an intergalactic battle as Nashville’s Adventure Science Center hosts the ultimate sci-fi Way Late Play Date on Thursday, July 28th from 6:30PM to 10PM. Star Wars vs. Star Trek features the best elements of science fiction and science fact in a themed adults-only party that hopes to judge which film franchise’s fandom is most popular. General admission tickets are $20 for members and $30 for not-yet members, which include admission to all exhibits and activities, three beverage tickets, a planetarium show and a souvenir cup. Attendees are encouraged to dress as their favorite big-screen characters and participate in the themed costume contest. There will be mini trivia games starting at 7PM and running throughout the night, as well as a digital gaming room provided by long-time Way Late Play Date patron Brian Wessels. Expect tickets to sell out, as previous similar-themed events had more than 900 people in attendance, so get them while you can. What’s new for this year’s Star Wars vs. Star Trek? This will be the first time in many years that three breweries will be present. Do you know what styles of craft beer New Heights will bring? 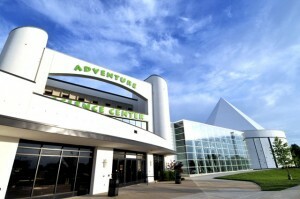 What does it mean to have craft breweries partnering with Adventure Science Center events? What did you think of the previous Way Late costume contest? What will be shown in the planetarium for this event? What are some of the themed educational activities for this event? Which side holds your allegiance?